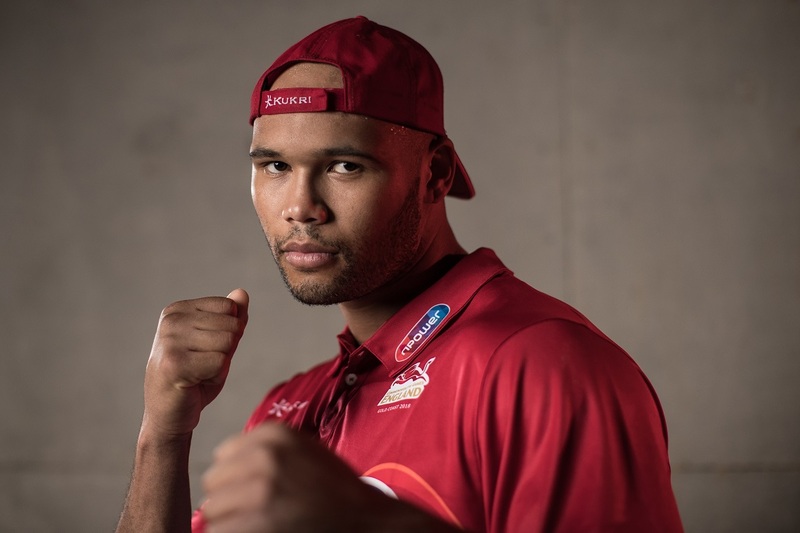 2018 Commonwealth Games gold medallist linked-up with Team England again recently to join the fight against knife crime in a visit to Burton Amateur Boxing Club where he shared his story with a group of young people from a local Pupil Referral Unit. Frazer spoke to the group about his life experiences which included an incident two years ago when he was the victim of a knife attack. He explained how the incident had caused him to reflect on the way he lived his life and led him to redouble his commitment to his boxing career. The young people that had been invited along to take part in the day at Burton Amateur Boxing Club had either recently been involved in some kind of trouble or were close to being excluded from school. Frazer told the group: “I am here to talk to you today about my journey and how I came from a similar situation to what you guys are in. “I was out celebrating the birth of my daughter and got into an altercation with a few guys. That night I was stabbed three times, once in the neck and twice in the leg. Those split seconds are what define your life, you can either do something great or you can do something ridiculous and take someone’s life away. Following his talk, Frazer joined the group for a training session which included bag work and a boxing fitness circuit. Watch the short film below where you can listen to Frazer’s story and see how this impacted on the young people.